With Spring finally here, the weather should hopefully be on its way up and what better way to celebrate than with a nice relaxing drink in a scenic beer garden? 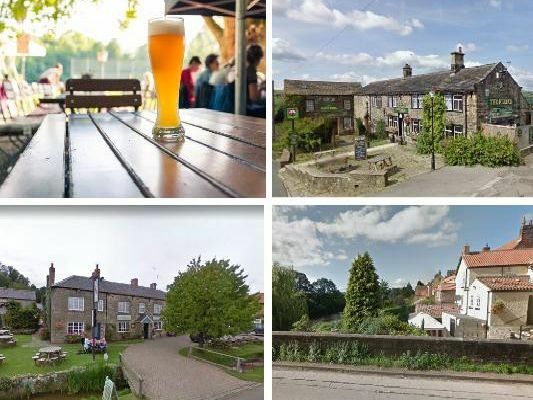 Yorkshire has an array of different beer gardens, which provide the perfect place to meet friends and family or just enjoy a relaxing drink after work. These are 11 of the best beer gardens in Yorkshire. Headrow House has a roof terrace which hosts regular arts and music events. 'Although the roof terrace may not be a traditional beer garden, it still draws hundreds of customers in daily throughout the spring and summer period. The Fleece Inn is located in Halifax, close to the the Calder Valley. Their tiled patio beer garden is modern, has plenty of seating and provides a splendid panorama of the local area. Located in the Chapel Allerton area of Leeds, the Mustard Pot boasts a large, well-presented beer garden. It even has a covered area just in case the temperamental British weather quickly turns to rain. This pub has a well-presented, scenic beer garden with an abundance of plants and flowers and is a great place to relax on a warm, sunny day. Dogs are also welcome, providing theyre kept on leads.